So it happened again. Saetbyul got kidnapped, but this time perhaps under different circumstances, and Soohyun and Ki Dong Chan have to find her before she's killed in 6 days. What I find really interesting after these 12 episodes is that Soohyun's husband is causing all of this. From the first two episodes or so, he seems like such a non-factor. Like, ah he's just Soohyun's husband. He's not really doing anything apart from that but it turns out that he is actually a really huge factor. None of this would be happening if it wasn't for him. His family is being terrorised because of something he did and he's making an even bigger mess of things. I mean he really is disgusting. The way he walked into his house in episode 11, saw Min Ah lying on the floor with blood splattered everywhere and he just walked past and took his child away and left?! What the heck dude! How he freaking locked Soohyun up in a mental hospital??!! Is it that he couldn't stand her running around with Dong Chan trying to protect their daughter? Did he really think his wife was insane and needed to be locked up in a mental hospital? 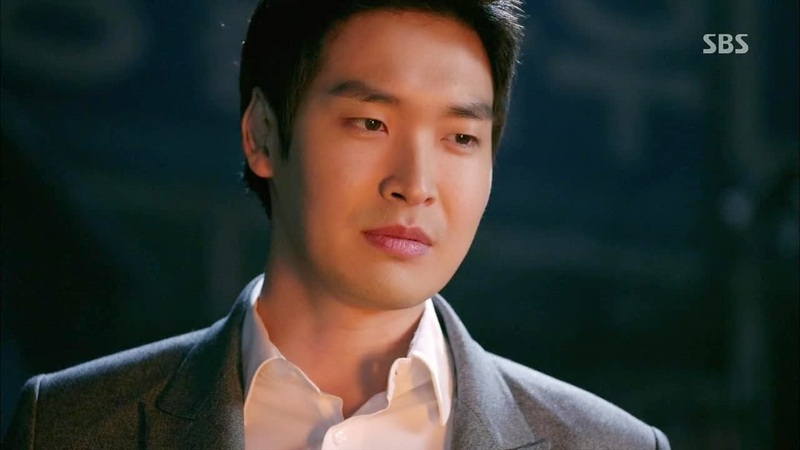 Only after his child was kidnapped - just like his wife told him over and over again that she would - did he see that she wasn't crazy and was telling the truth all that time: Saetbyul was going to get kidnapped and she did and just like Soohyun said in the scene Ji Hoon went to her "cell" at the hospital so that she could be let out: it is his fault. Everything that has happened to his family is his doing because he is making a huge mess of things. Now that his daughter really is kidnapped will he change his approach to how he's been handling this mysterious man on the phone or will he just sit there helplessly while Dong Chan and Soohyun do all the work and he sits at home waiting for the kidnappers call until he finds his daughters dead body at the side of the lake like last time? As you can tell, I really don't like Han Ji Hoon. His character really is disgusting to me. So is Hyun Woo Jin. I don't know what's going on with him but he's obviously destroying evidence and therefore stopping the criminal from being found and I can't stand to watch every time he does that. The criminal carelessly leaves evidence behind in every situation and Woo Jin gets there first and cleans it all up. What does the criminal have on him? I'm just glad they finally figured out in episode 12 that there is probably someone in the police that gets to the crime scene first and messes things up. I find it interesting how both Ji hoon and Woo Jin both tell the criminal over the phone that they better not hurt one hair on Soohyun's head but everything they're doing just allows Soohyun to be in more danger. Anyway that's it from me for this week's episode. I wish we didn't have to wait til next week - ugh.